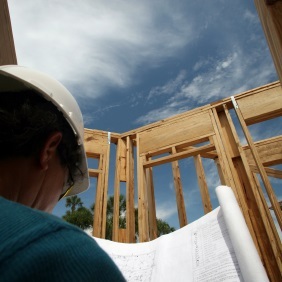 Join us on June 5 for an educational Lunch & Learn session that will examine the impact, challenges and opportunities created by the California's mandated requirement that all new home construction include solar photovoltaic systems starting in 2020. This special Trending event explores new approaches to solar installations that can create unique and compelling new home marketing strategies while complying with the 2020 new home construction solar installation mandate. Solar PV panel installations in new construction can be a very different process from installations that are retrofitted on existing homes. Retrofit installations can face numerous variables that add complexity and restrictions to the system placement positioning, panel & mounting hardware selection and balance-of-system equipment & electronics. In contrast, solar installations for new construction can be seamlessly integrated into the overall design of the home. A significant amount of flexibility is available for every aspect of the system, including designs and equipment that can store energy, optimize energy pricing impacted by Time-of-Use rate structures, sell energy upstream back into the grid, and even power key portions of the home off grid. Our guest speakers will outline the 2020 new home construction solar requirements and present a wide variety of approaches that can be utilize to comply with this fast approaching mandate. Seating for Trending Series events is very limited and often sell-out quickly, so please reserve your spot at your earliest opportunity if you would like to attend. There is no onsite registration for this event. Sustain SoCal's Trending...Lunch & Learn series is free for Sustain SoCal members and $30 for non-members.